Few blacks enter biomedical research, and those who do often encounter obstacles in their career paths. A study published last year found that a black scientist was markedly less likely to obtain research money from the National Institutes of Health than a white one — even when differences of education and stature were taken into account. The institute has now announced initiatives aimed at helping blacks and other ethnic and racial groups who have been unrepresented among medical researchers, including a pilot program that will test a grant review process in which all identifying information about the applicant is removed. The initiatives take a step further than addressing the problem identified in the study — the goal is to entice more minorities into the field. The N.I.H. program will provide research opportunities for undergraduate students, financial support for undergraduate and graduate students, and set up a mentoring program to help students and researchers beginning their careers. When the program ramps up, it will cost about $50 million a year and support about 600 students. The N.I.H. formed a group of 16 scientists to study the causes of the problem, and the group presented its recommendations in June. At a meeting this month of his advisory committee, Dr. Collins and other officials discussed how to implement the recommendations. At the meeting, Dr. Reed Tuckson, an executive vice president and the chief of medical affairs for UnitedHealth Group, who was one of the group’s co-chairman, acknowledged the controversies that would inevitably accompany the effort, especially as the N.I.H., like the rest of the federal government, could soon face sizable cuts in its budget. “This is a heavy, laden issue which no matter which way you turn, someone is going to be irritated,” he said. 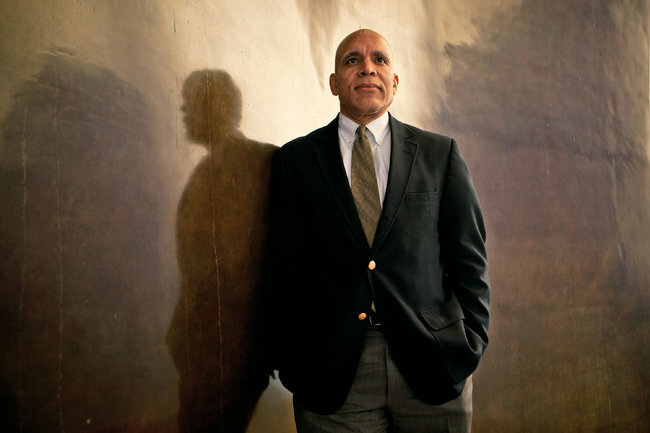 Dr. Tuckson, who is black, urged his colleagues to support the efforts. “A lot of people put themselves on the line,” he said. The study last year, published in the journal Science, reviewed 83,000 grant applications between 2000 and 2006. For every 100 applications submitted by white scientists, 29 were awarded grants. For every 100 applications from black scientists, only 16 were financed. After statistical adjustments to ensure a more apples-to-apples comparison, the gap narrowed but persisted. That raised the uncomfortable possibility that the scientists reviewing the applications were discriminating against black scientists, possibly reflecting an unconscious bias. Members of other races and ethnic groups, including Hispanics, do not appear to run into the same difficulties, the study said. Only about 500 doctoral degrees in a year in biological sciences go to underrepresented minorities, like blacks, Hispanics and Native Americans. To persuade more students to pursue this as a career, the N.I.H. aims to provide more summer research opportunities for undergraduates. The program will also provide money to professors so that they can have more time to mentor students or train new mentors. Donna K. Ginther, an economics professor at the University of Kansas who led the Science study, has taken a closer look at a subset of 2,400 proposals included in the original study. It turns out, she said, that the black applicants published fewer papers and have fewer co-authors than other scientists.